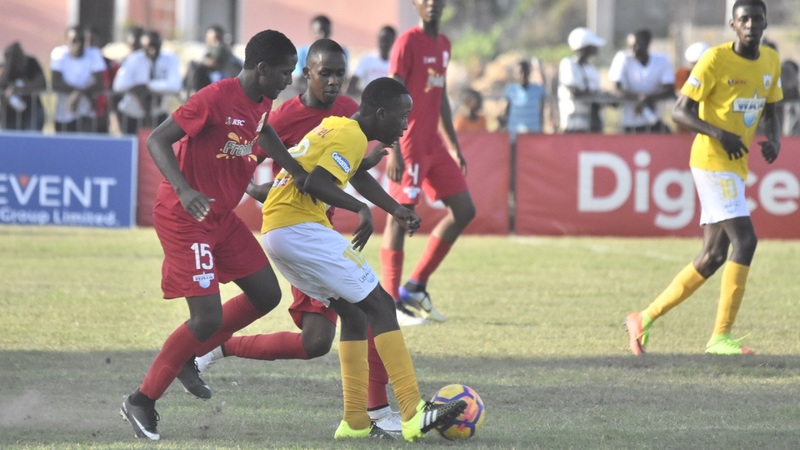 The semi-final matchups for both the ISSA Digicel Manning Cup and Wata daCosta Cup were confirmed on Tuesday following the final round of quarter-final matches in both competitions. 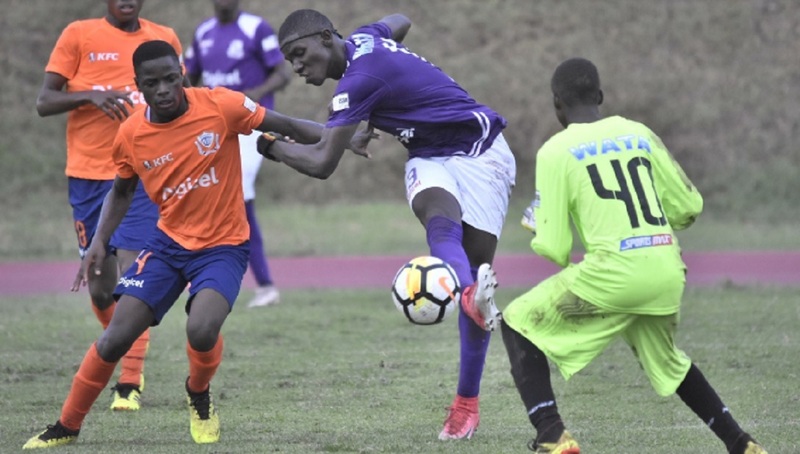 The day truly belonged to Kingston College's (KC) Ugandan student Ari Rodgers who scored a brace to lead the 14-time Manning Cup champions to a 2-0 victory over Camperdown High at Spanish Town Prison Oval in their Group H fixture. KC entered the day needing a victory to qualify for the last four following a 0-0 draw against St George's College on October 24 at the Stadium East field and a 1-1 draw against Charlie Smith High at Calabar High School on October 27. Rodgers scored his first goal in the 44th minute and returned for his second in the 72nd minute. As a result of the victory, KC finished atop the four-team table courtesy of goal difference over their North Street neighbours St George's College, which stopped Charlie Smith 2-1 at the Stadium East field. Both teams ended with five points. Damani Harris (1st minute and 85th minute) scored both goals for St George's College, while Trivante Stewart netted for Charlie Smith in the 56th minute. 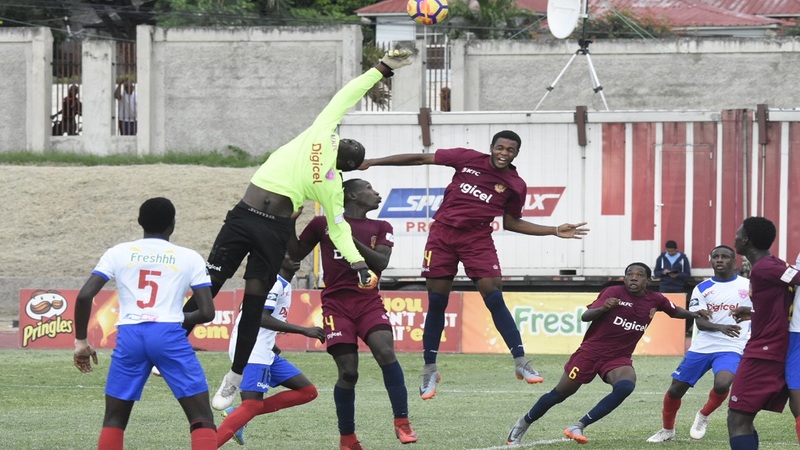 Five-time Manning Cup champions Jamaica College (JC) and the team they beat last season for the Manning Cup title, St Andrew Technical High School (STATHS) are the two other semi-finals. 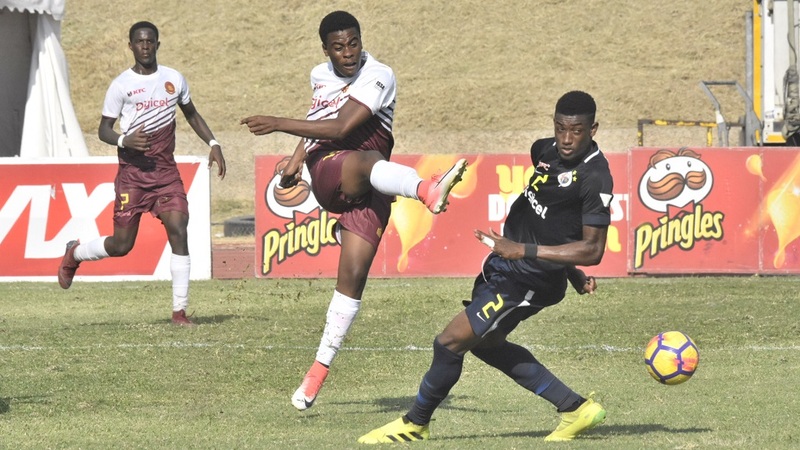 JC topped Group G after a 2-1 victory over Holy Trinity High at Calabar High, while STATHS and Wolmer's Boys battled to a 1-1 draw at St George's College. In the semi-finals, KC and STATHS will face off at this stage for the second year in a row, while JC will meet St George's College. Meanwhile, Frome Technical, last season's beaten finalists Clarendon College, Dinthill Technical and Cornwall College will contest the semi-finals of the daCosta Cup after winning their respective group. Clarendon College finished atop Group 2 with maximum nine points. The seven-time daCosta Cup champions rounded off their perfect quarter-final round with an easy 3-1 victory over St James High at Juici Beef Complex. They finished three points clear of second place Manchester High, which whipped Old Harbour High 4-0. Frome Technical qualified for the semi-finals despite losing 2-1 to Mile Gully High at Manchester High. Both schools ended Group 1 on six points apiece but Frome Technical won the group courtesy of goal difference to take the semi-final spot. Dinthill Technical beat Lennon High 2-1 at Dinthill to win Group 3 with maximum nine points, three clear of second-place St Elizabeth Technical High School (STETHS), which defeated Petersfield 2-1 at STETHS Sports Complex. Eleven-time daCosta Cup champions Cornwall College defeated Glenmuir High 1-0 at Jarrett Park in Montego Bay to win Group 4, also with maximum nine points. Garvey Maceo High finished second on six points following a 2-0 victory over Charlemont High at Juici Beef Complex. The daCosta Cup semi-final matchups are Frome Technical against Cornwall College and Clarendon College against Dinthill Technical.